MARINETTE, Wis., Dec. 10, 2018 /PRNewswire/ -- Littoral Combat Ship (LCS) 15, the future USS Billings, completed Acceptance Trials in the waters of Lake Michigan. This is the ship's final significant milestone before delivery. 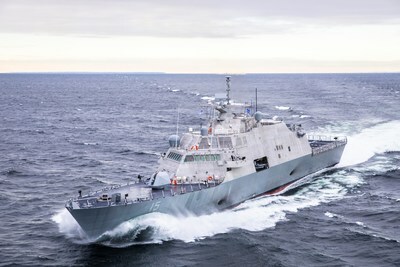 LCS 15 is the eighth Freedom-variant LCS designed and built by the Lockheed Martin (NYSE: LMT)-led industry team, and is slated for delivery to the U.S. Navy next year.